great buys, it's been a while since I popped into primark! Your videos are always the best! The duvet cover is super cute! 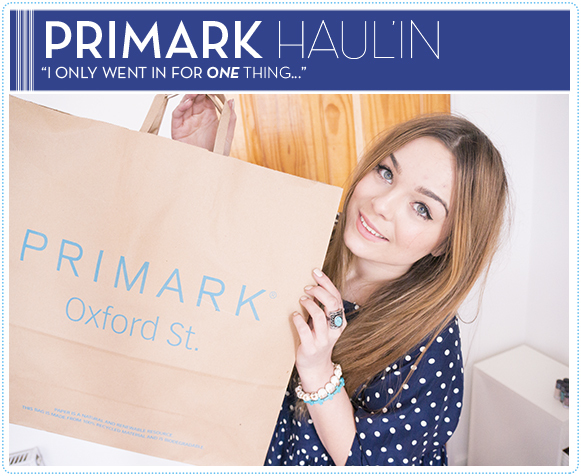 I love your primark hauls! That blue is gorgeous, go for that one to mix things up a bit! I think you should keep the blue jumper its so pretty! http://fihenderson.blogspot.co.uk/2013/03/girl-meets-pearl-review-as-you-know-i.html <<<<< my review on girl meets pearl , keep the blue one!! defo. getting the sheer black top, love it! Love the video! I think the blue sweater looks gorgeous with your hair, and if you have a lot of red already then it might be nice to have something a bit different. Hi, I hit this page a week before and impressed in your costume. I just love it. It look pretty and I tried to get some thing like this.I also visited this primark haul'in. I think the blue sweater looks really good on you! The kimono looks so pretty! I love Primark but I can't bring myself to go into my local one because it's so disgusting in there - it literally looks like a massive jumble sale and there are so many loud gobby teenage girls, I can't do it! the blue one is beautiful with your hair! Keep it!! Love this haul :) I wish Australia would get a Primark! and Topshop!